We knew 2019 was going to be a great year! Thanks, National Mortgage News for making sure of it by naming us one of the Best Mortgage Companies to Work For. The award was based on emp-loyee feedback and we are grateful to have a staff that believes in our company. Our company takes pride in making each person feel confident and valued. Everyone has an important role that leads to our overall success and team work definitely makes the dream work here. This was an important factor considered in the selection process. Other factors considered were work-life balance, a high sense of meaning and purpose, role satisfaction and providing food and/or snacks. We are a hungry bunch and well fed here at Angel Oak. In fact, Waffle House catering was set up and taking orders as a surprise one morning in December! 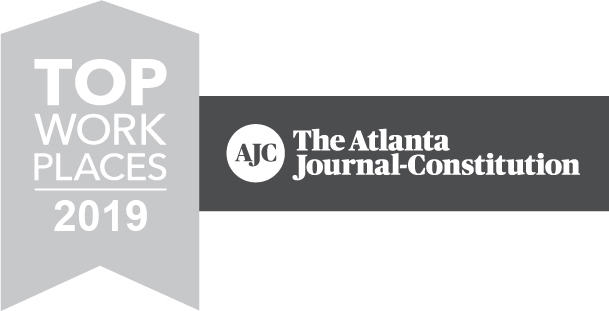 It is a great feeling to work for a company recognized for meeting the criteria necessary to earn this award. 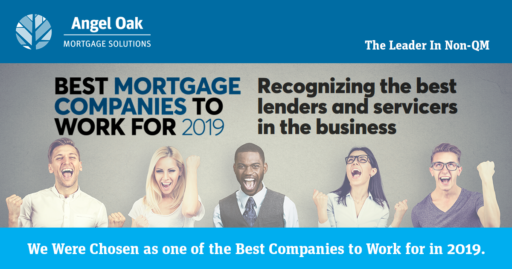 We appreciate the honor of being chosen as one of the Best Mortgage Companies to Work For in 2019.